Colors available are black/yellow , black/white and gray/yellow. 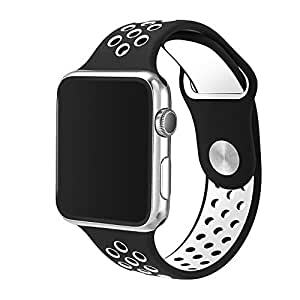 Apple Watch Silicone Sports Strap is great for everyday comfort. It is soft and flexible perfect for all day comfort.